Found 3 blog entries about Golf Course . Tuesday, July 30th, 2013 at 6:41am. If you are a golfing enthusiast who has just moved or is planning to move to Denver, you’ll find no shortage of excellent golf courses to choose from. There are a variety of different clubs and courses around the city, each of which boasts its own unique scenery and loyal clientele, but all of which offer a number of amenities, beautiful scenery, and excellent service. Read on for details regarding some of the most highly rated golf communities in the greater Denver area. Looking for a golf course in Lone Tree? The Lone Tree Golf Club and Hotel boasts a public 18-hole golf course designed by Arnold Palmer. The hotel offers banquet facilities, meeting rooms and hotel suites. The Lone Tree Championship Golf Course is a challenging course to test the skills of players of all levels. 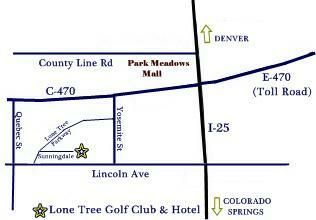 Lone Tree Golf Club and Hotel is located approximately 15 minutes south of Downtown Denver and approx. a five-minute drive from the Denver Tech Center. The golf course is on the North side of Lincoln Ave, South of C-470 and West of I-25. Highlands Ranch Real Estate activity in The Golf Club has been much slower this year compared to 2008. This is nine houses have sold compared to 19 houses in 2008. In 2008 only two additional houses sold in the rest of the year. Currently there are 4 houses under contract in The Golf Club. All are ranch style homes. If all goes well that would mean at least four more closed sales for the neighborhood.